I provide intuitive communication consultations for you and your animals by phone, skype, email and in person. I work with people and animals all over the world. 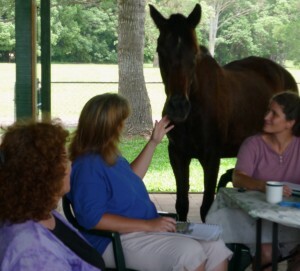 I am also available to do group consultations for your barn or organization and for special events. I work with all types of animals and have a special interest in horses. I have studied natural/holistic training, feeding and management practices for all animals and can provide you with information and resources on these subjects. For those of you who can’t host a class and can’t make it to one in person, consider signing up for phone tutoring with me. In a tutoring session I have you work from a distance with my animals and get verifiable data from them. I can teach you everything I normally teach in any of my courses, tailored to your individual needs.